[Towards a national strategy on the diagnosis of neurocognitive disorders. 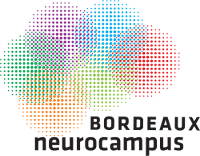 A shared approach among the French National College of General Practitioners and specialists of neurocognitive disorders]. Neurocognitive disorders leading to progressive cognitive, functional and behavioural impairment are often undiagnosed or diagnosed lately. But tailored care and therapeutics help in implementing secondary and tertiary prevention dynamics aiming at preserving quality of life and delaying, anticipating or preventing behavioural crisis and severe stages of dementia. Moreover, the diagnosis of numerous diseases induces specific care and therapeutics, as well access to research and clinical trials. 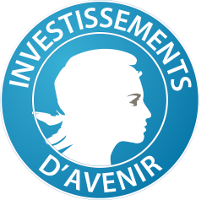 For the first time, the representatives of the National College of General Practitioners, the French Federation of Memory Centres, the French Federation of Gerontology and Geriatrics, the French Federation of Neurology, the French Society of Psychogeriatrics and the national plan on neurodegenerative diseases propose a graduated and tailored diagnosis strategy involving primary care and specialists of neurocognitive disorders. This strategy has been built in the context of the national plan on neurodegenerative diseases, the European Joint Action 'Act on dementia', and has been consensually agreed after a seminar animated by the National College of General Practitioners in March 2017. Cognition and quality of life in clinically isolated syndrome patients starting a disease modifying therapy in the QUALICIS study may not predict treatment response at one year. Cognition and health-related quality of life (HRQoL) are early involved in multiple sclerosis (MS). The aim of QUALICIS study was to monitor cognition and HRQoL prospectively in a cohort of clinically isolated syndrome (CIS) patients starting a treatment with subcutaneous beta-1b interferon as a first disease modifying treatment (DMT), and to assess their correlation with the clinical outcome 6years later. Relapse history, EDSS and yearly standardized brain MRI data were also collected. 37 patients were included. Cognition and HRQoL remained stable over treatment period. At baseline, we found that SDMT was moderately correlated to T2 lesion load (r=-0.47, p=0.04). Baseline SDMT was predictive of HRQoL at year 2 (r=0.53, p=0.02). Regarding 6-year outcome, the most specific predictive factor of favorable outcome was achieving 'No Evidence of Disease Activity' (NEDA) status at year 1. In this group, all the patients had a stable EDSS score and none switched to a second line therapy. In the 'non-NEDA' group, 44% of patients experienced EDSS worsening and 38.9% switched to a second line therapy. The number of gadolinium enhancing lesions on baseline scan was the only predictive factor of poor outcome in this subgroup of patients (2 vs. 0.13, p=0.03). Our results suggest that NEDA at 1year could be used to predict long term outcome after initiation of DMT in CIS. For non-NEDA patients, monitoring SDMT and brain atrophy could be potentially relevant, but this should be confirmed on a larger sample. Improvement of quality of life and its relationship with neuropsychiatric outcomes in patients with multiple sclerosis starting treatment with natalizumab: A 3-year follow-up multicentric study. BACKGROUND: Health-related quality of life (HRQoL) is impaired in multiple sclerosis (MS) but can be improved by disease-modifying therapies such as natalizumab. However, the predictive factors and neuropsychiatric correlates of HRQoL improvement are unknown. METHODS: In this study, 48 patients with relapsing-remitting MS were included in a 3-year open-label, single group, multicenter, clinical trial (NCT01392872). HRQoL was measured by the disease-specific MusiQoL questionnaire, together with physical disability, cognition, fatigue, anxiety and depression scores at baseline, 6months, 12months, 18months and 36months after starting natalizumab therapy. RESULTS: Compared to baseline, global HRQoL, as measured with the index of the MusiQoL, was significantly increased 6months after the beginning of natalizumab therapy, with medium effect-size (58.6+/-16.2 vs 69.8+/-18.9, p<0.001, Cohen's d=0.63). This improvement was maintained over time for up to 3years and mainly concerned activity of daily living, psychological well-being, symptoms and coping (p<0.001 for every dimensions). The variation of global HRQoL after 3years was negatively correlated with the variation of fatigue score (r=-0.44, p=0.015). Furthermore, a higher fatigue score at baseline was correlated with improvement in global HRQoL 3years afterwards (r=0.34, p=0.041), independently of age, educational level, disease duration and disability at baseline (beta=2.45, p=0.020). Disability at baseline, cognitive impairment, anxiety and depression failed to predict or correlate with global HRQoL improvement in multivariate analyses. CONCLUSION: Natalizumab improved HRQoL quickly and sustainably in patients with relapsing-remitting MS. In terms of HRQoL, natalizumab seems to benefit mostly patients with more marked fatigue at baseline.